Turns out, I wasn’t sure how sunblock lotions all this time.. hahaha. What I, and maybe a lot of you (or not, and I’m just really figuring this out just now LOL) know is that you need to apply it before you go out under the sun during your summer travels so you won’t get dark and sunburnt. Last year, while I was shopping for my beach essentials for our summer trip.. I passed by that aisle in Watsons where all sorts of available lotions were displayed. Yeah, I didn’t know what to choose. 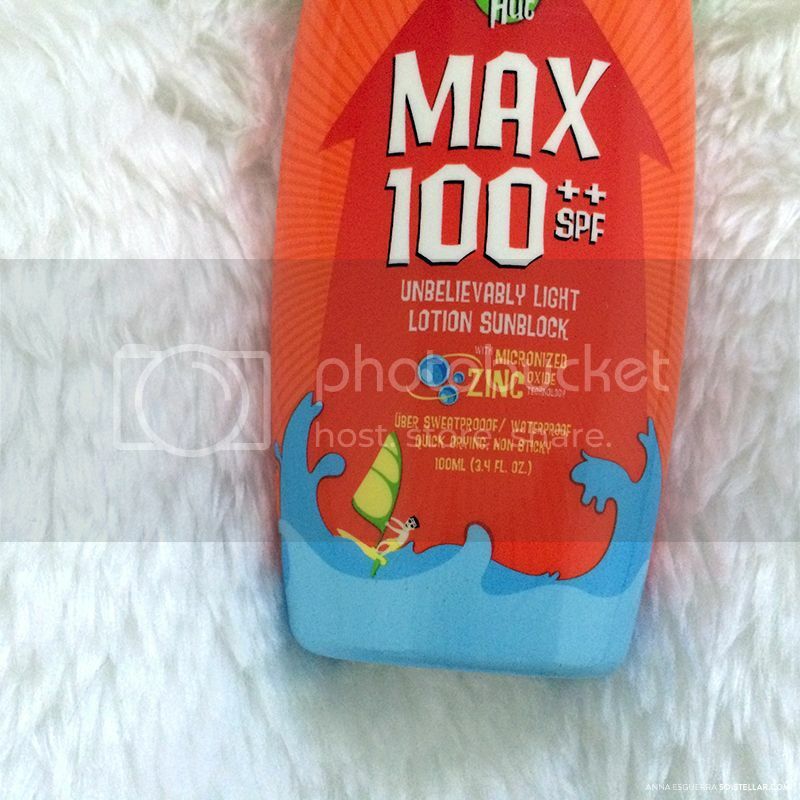 But, I noticed this product w/ that headline in the packaging that caught my attention: 100+ SPF. Surprised that this was PH-made. I thought it’s priced as such because it’s an imported product. Anyway.. I thought to myself, oh okay, that seems high enough. It should be strong enough to keep me from getting burnt or dark while at the beach. Mind you, this was prior to knowing that ‘higher SPF = slows down skin darkening’ fact. I won’t post photos of it because a lot of blogs have already done this and I am not very picky or sensitive when it comes to these aspects when it comes to lotion. It promises that it is quick drying, non-sticky, unbelievably light. How quick is quick? It dried, surely enough, but definitely not lightning fast.. as it should have? I applied maybe 2-3 times, so that’s probably why. Not runny, doesn’t feel heavy when applied: Creamy enough, not runny. As for lightness, it is light. I wonder if.. when it goes bad/expires, will the texture eventually become runny or like goop by then? Not as sticky as I was expecting: Okay, the thing with lotions, for the ones I’ve tried at least, is they’ll always be greasy and sticky. Especially when you use it in an area with humid temperature. 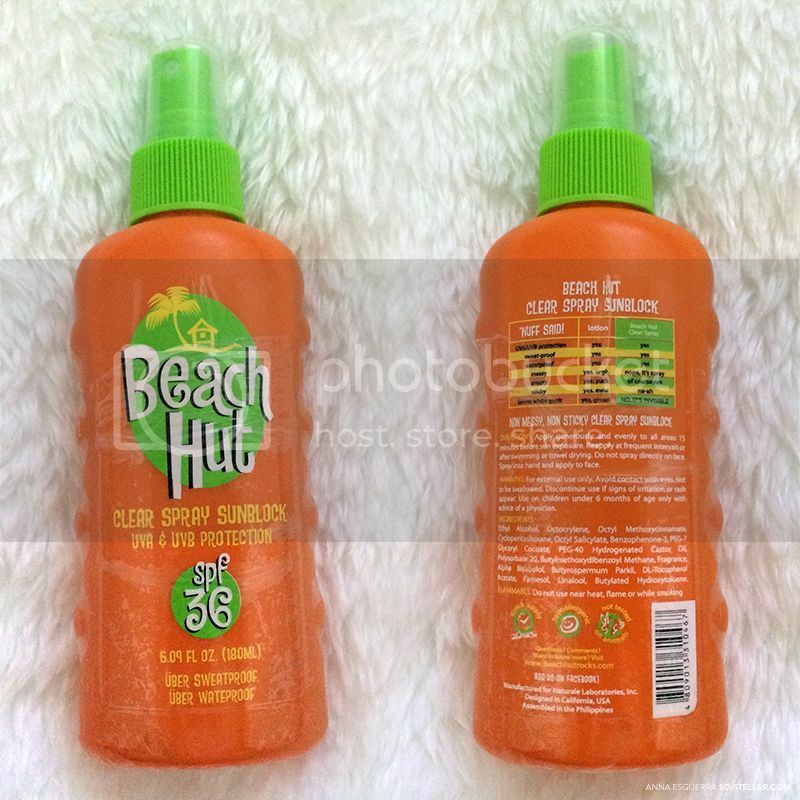 With the Beach Hut 100++ SPF Sunblock, it’s less sticky and greasy in my case. Mild fragrance: Its fragrance isn’t overwhelming or stingy. I was expecting it would smell something like how Off! smells, haha. 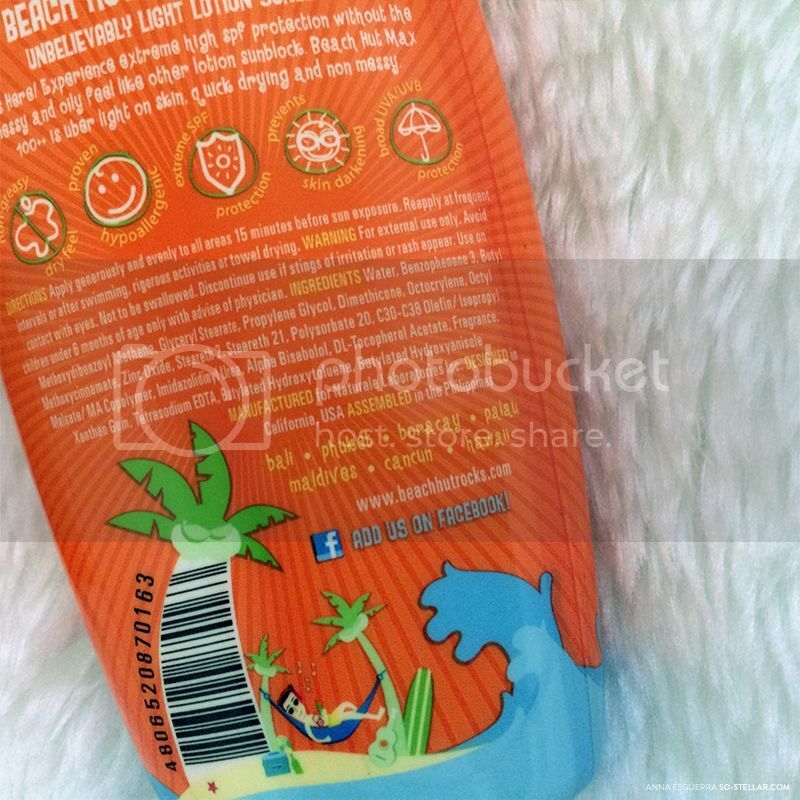 I used the product on most of my beach and sunny destinations last year. That may sound like a lot but it wasn’t.. because I haven’t finished my bottle of this sunblock yet. During our island-hopping adventure in Bohol, I remember being very observant on how long it holds up without reapplying for hours, but applying 2-3 layers of it beforehand. Far as I can remember, it had been HOURS (3 hours tops) before it lost its effectiveness and before I saw any visible difference in my skin tone. I did not get sunburned though! And.. I might have become darker by just one shade, if anything. In the end, I was still lighter-skinned than my friends, haha. This was after island hopping to several islands from morning til noontime. People advise to reapply this lotion after getting yourself wet from swimming, or from doing sweaty, rigorous activities. Basically when you’ve sweat out all the lotion out of your body. 😂 I haven’t done that tbh, I usually forget about that so I put a lot of it beforehand in hopes it will stick there. Luckily, it works on me. In Caramoan, I didn’t put as much layers of it. Maybe just one layer and went out. It wasn’t that sunny when we were there, either, so I think that’s fine. This came in too late but I received their SPF 36 Sunblock Spray from a BDJ box last year that I did not get to use and forgot about it until I was cleaning my stuff yesterday. I wouldn’t know if this is as effective, but since it’s just SPF 36.. I assume this is perfect to use when you’re going out in general during a really hot day. Like around this time, where the ~normal~ temperature these days is 31°-37°. I actually liked this product.. and I think it’s actually more effective than another brand I tried before this. I would repurchase, too, BUT at the moment I am looking to explore other brands. However, this earns a spot as a go-to product simply because it’s the first one I’ve seen with 100++ SPF. I haven’t seen anything like it.. and it was also the product that gets sold out fast here, for some reason. If you have any suggestions for similar sunblock lotions, or ones worth switching to, especially with higher SPF if it’s helpful, chime in the comments! Hi! Chemical reaction between sweat and sunscreen is possible. Personally, I think your skin was irritated by one of the ingredients used this sunscreen, and perhaps hindi ka hiyang to it. As with every product out there, iba iba ang reaction nito with our skin. I would suggest to have it checked with your doctor before trying any more sunscreens from other brands to be sure, and before the irritation worsens. I saw this when I was looking around for a sunblock lotion for our summer trip but found it expensive so I just went with Nivea with the spf50 I think. Haha. Since I was told that pinaka-okay na daw is spf60 so I thought, eh okay na to hahaha. Belo’s is spf60 but because i was budgeting, lol, I got Nivea instead. It’s actually okay naman, also got to try Belo for the face and body(different lotions) through my bf’s mom, I got dark(but not so much) but I didn’t get sunburnt so that’s fine enough lol. From our conversation sa Twitter, I think I’m gonna pick up Belo next hahahaha. Yoko na kay Nivea, di kami bati! That post naman will be up next week haha. I remember having one like this from my Cebu trip last year and I don’t know where it is now. Haha! I remember I was burnt even when I put some on but maybe because I just applied on my face? My fault, really! Right now I’m using an organic brand and so far it’s good for me. It keeps the oiliness at bay even when I’m out under the sun. Yup, I think this one I wrote about is better for longer sun exposure use than the common situation like commuting and being out in the city. Hope you can try this out too, in the future. For normal outdoorsy activities, the SPF35-60 will do perhaps. But beach heat is somewhat just.. hotter, and would require a higher or more frequent application of sunblocks hehehe. 3 weeks.. that’s in June, right? Would this be the first you visited back after moving there? Are you staying for a month long or a few weeks lang? For sure your friends would love to catch up with their friend they haven’t seen in years. I try to go visit my lolo every 2-3 years so it would be my 3rd visit na since I moved here. Aww you do this for your lolo? That’s so sweet. To me kasi, naisip ko yung fare ng tickets. It's not easy to save up to go here coming from the other side of the world. Oh, this is starting to frustrate me. Hahaha. 😞 It doesn’t help knowing this (but thank you pa rin!) 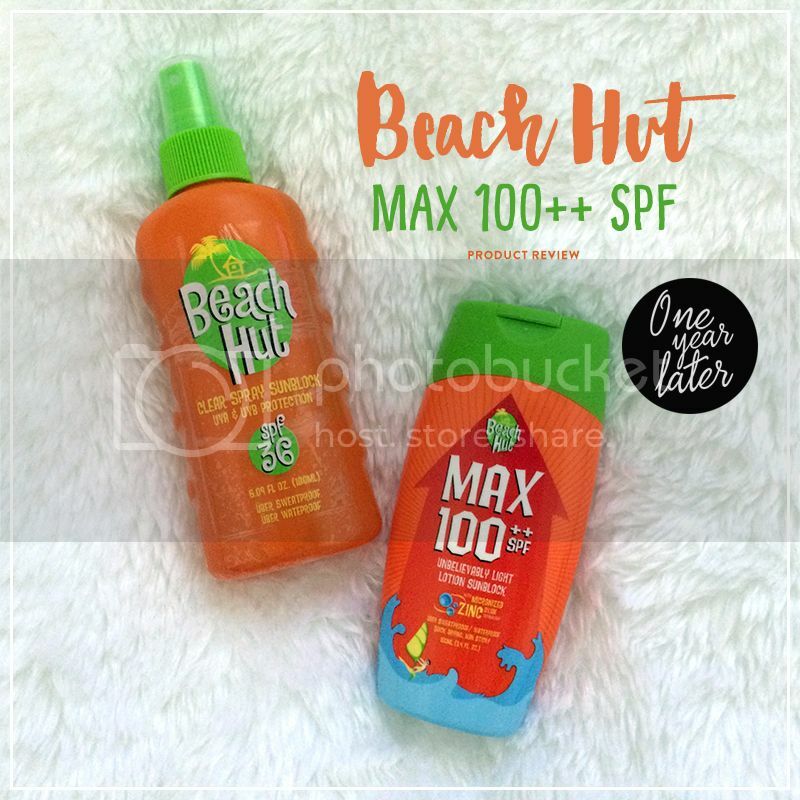 because the higher SPF sunblocks costs a LOT huhu. Lol. Ditching them entirely is definitely not the way to go. Okay, next time I’ll just pick up a random affordable brand na madaling maubos hahaha. Hi Gail, welcome, hello! 😊 And your question: Sureee!! Dropping by your blog in a while, too. Wait, now I’m confused. I remember going to this event and they said that the SPF is not an indication how many times you can stay under the sun. Why can’t they just use SPF100 as a standard???? What is it with conflicting ideas of people of SPF? I feel like I just made it more complicated. 😞 Hahaha. 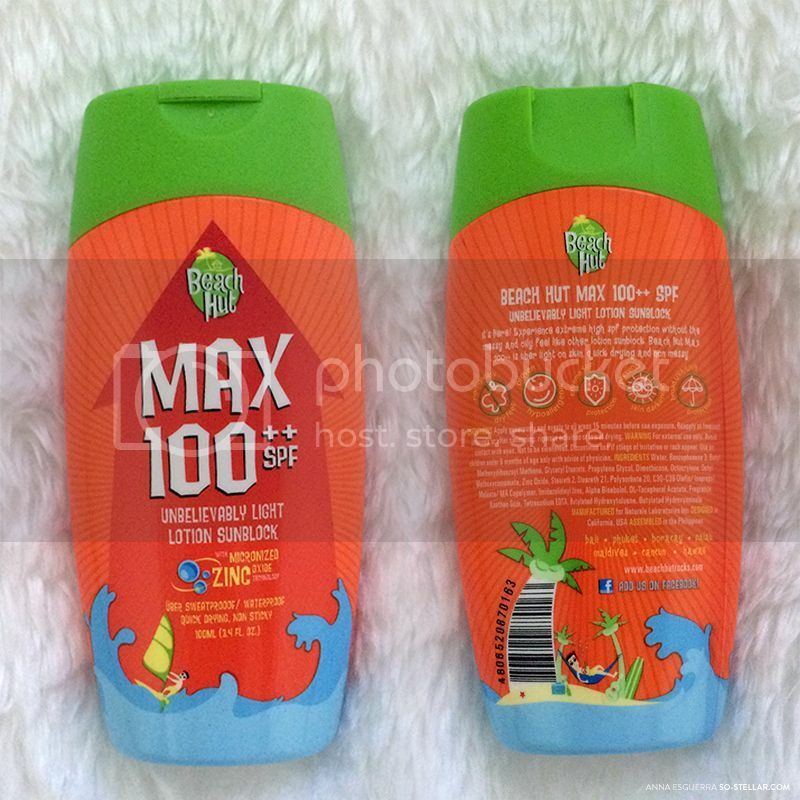 Same sentiments, I wish SPF100 was the standard na lang! In the end, I guess, all sunblocks are useless after some time (2 hours maybe?) and you need to reapply eventually or else your skin will burn under the sun. Thanks for explaining this! I couldn’t get it quite right when I read that info elsewhere yesterday, so when I came across the one that I ended up posting in my entry.. I found it easier to comprehend so I went along with that. Okay so if it’s suppose to last 25 hours, then it must not be THAT effective. Then again it advises users to reapply it soon as you’ve washed it off your body whether from body moisture or getting wet from the sea. Eh, I don’t stay under the sun for more than 8 hours max though hehe.